Birding Is Fun! : The Big Year - Big Give-Away at BiF! "The Big Year" movie comes to DVD on January 31st! 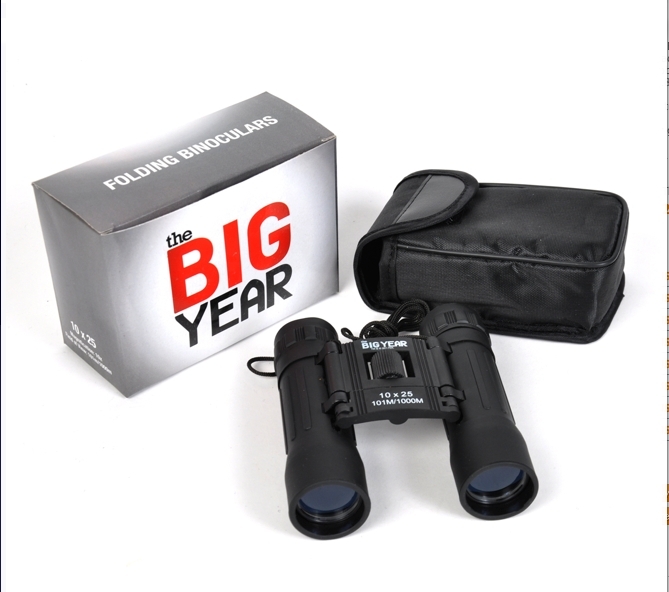 Here at BirdingIsFun.com we are delighted to give away two prize packages, each containing a DVD of the movie as well as Big Year branded binoculars. To enter the contest, using Twitter, send a tweet explaining how you are going to make 2012 your biggest year - be what it may. Please use the hashtag #TheBigYear and include my handle @Birding_Is_Fun so I can track who enters. If you don't have a Twitter account, you can enter by commenting on this post with how you plan to make 2012 a big year. This contest is only open to residents of the United States and Canada. On January 28th I will do a random drawing from among all participants and notify the winners. As a birder who doesn't bother to tweet, here's my old fashioned entry! Being the World's Laziest Birder means I'll have to get my birds on video this year! Do members of your extended family get to participate? Another non-tweeting birder/birdwatcher! In 2012 I plan to retire from my job and be freed up for more birding! Almost any birding will make 2012 a bigger year for birds than 2011 for me. I'm starting with the Space Coast Festival. Besides that, I'm hoping to review more books this year than in the past. Not too optimistic of that happening, but it's a good goal. I am actually going to "see" with my very own eyes, my nemesis bird, the "Pileated Woodpecker" here in my home city in Alberta. I'm almost beginning to think that it's a mythical bird, like the Phoenix! This year I plan on taking more photographs of birds all over the eastern coast! I'm doing BirdADay (www.birdaday.net) for my big year 2012. It's great so far! 2012 begins as my wife and I have become empty nesters. As a result, we will have a lot more free time to look into the nests (and other environs) of many bird species we have yet to tick off on our list. Looking forward to hopefully doing some travel!